Oracle has many hardware models in market. For every hardware family the method to access console differs slightly. Below is a list of hardware models and type of console each of them is using. The post also discusses methods to login into the console of different hardwares. In that case you can use the -f switch to login forcefully. The other user will get disconnected if you do so. 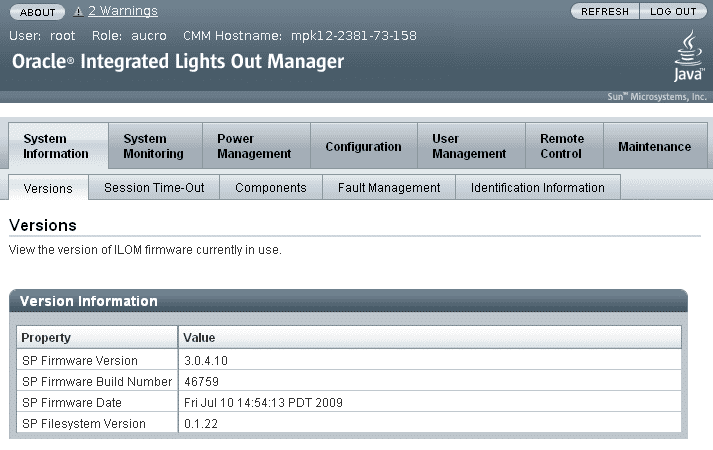 We can view the system hardware info and poweron/poweroff the system from the Web interface. To login into the web interface use the same IP address which you use to connect the ILOM cli interface. Just put the ILOM IP address into the web browser and login with the user credentials you used to login into the ILOM cli interface. Console session already in use. This will return the console to the rsc> prompt If the Escape character ~. doesn’t work, we can check the escape character set. We can also set the escape character as we want.